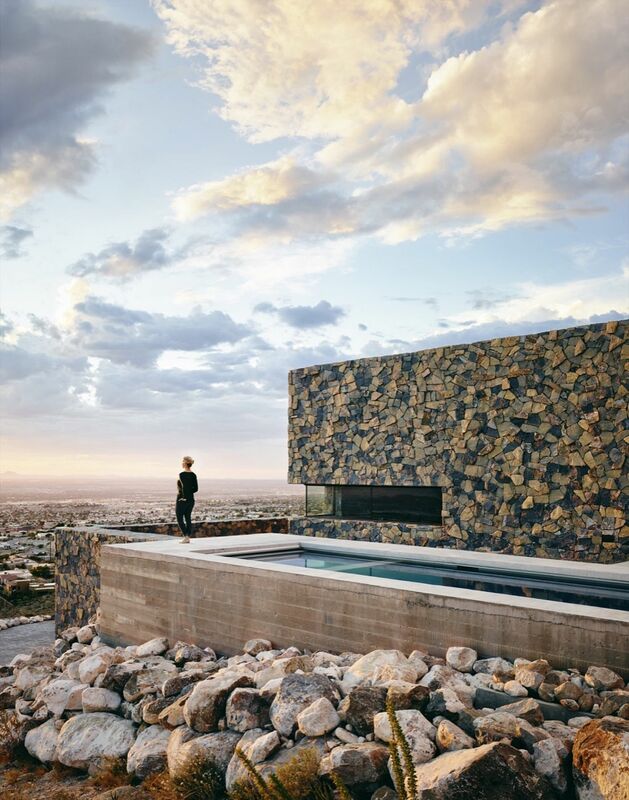 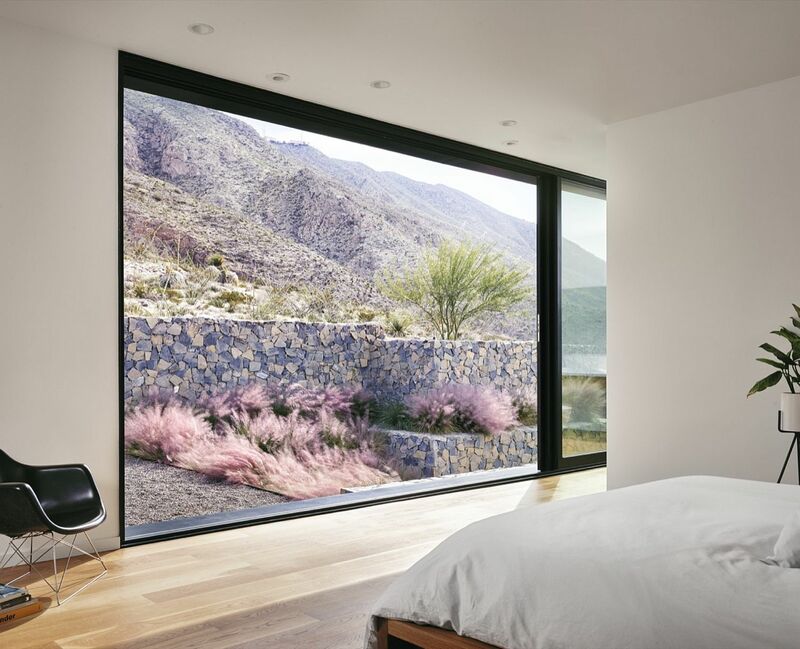 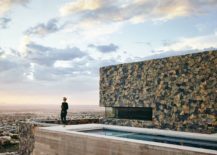 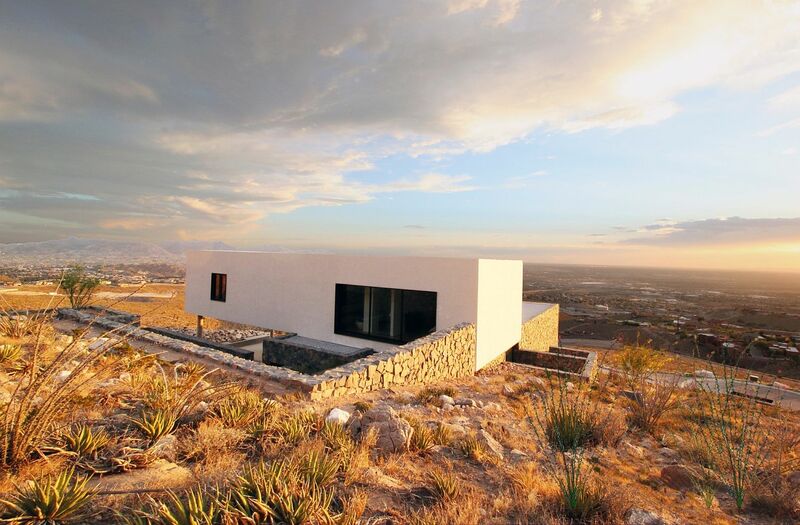 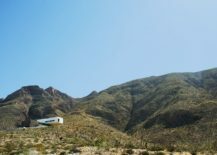 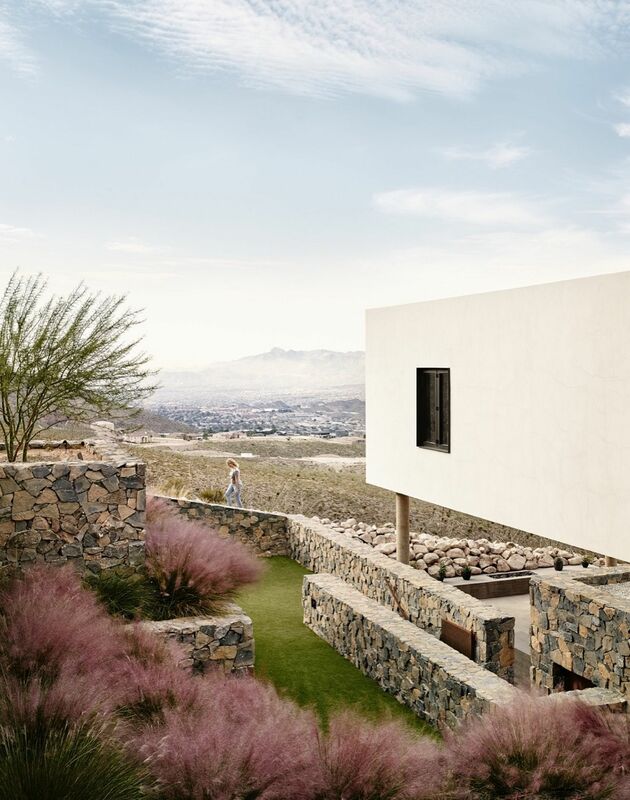 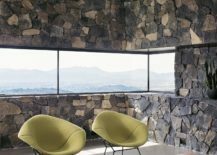 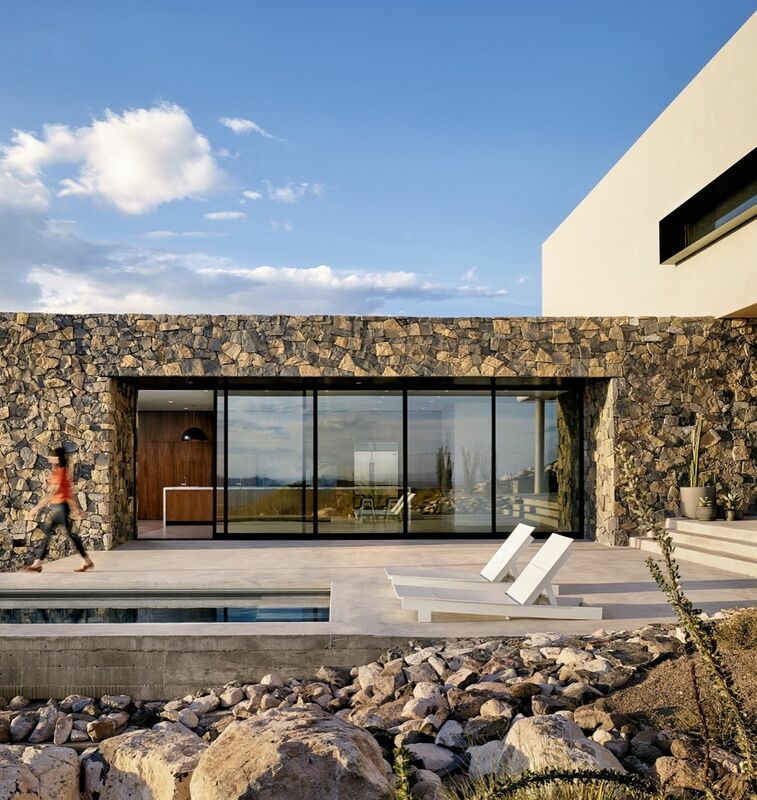 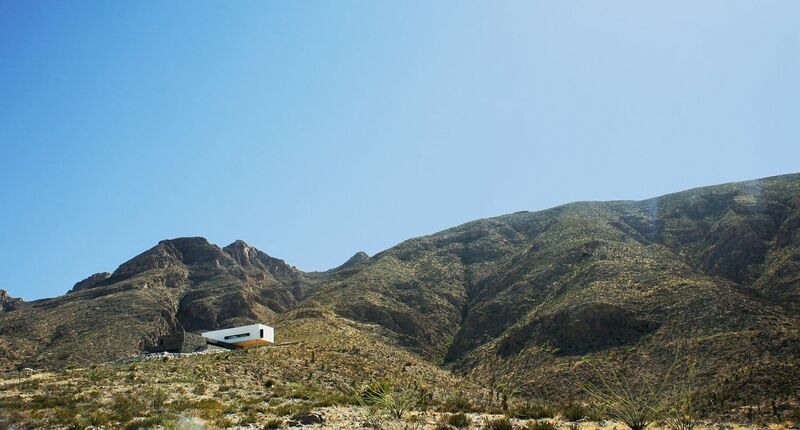 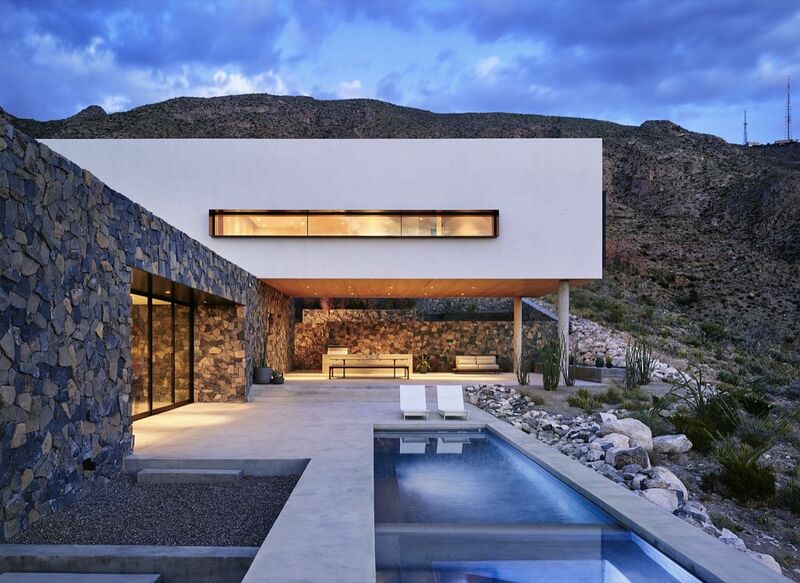 Ushering an air of refinement to a rugged mountain landscape that overlooks the city of El Paso in Texas, Franklin Mountain House stands out visually at the foothills of imposing mountains. 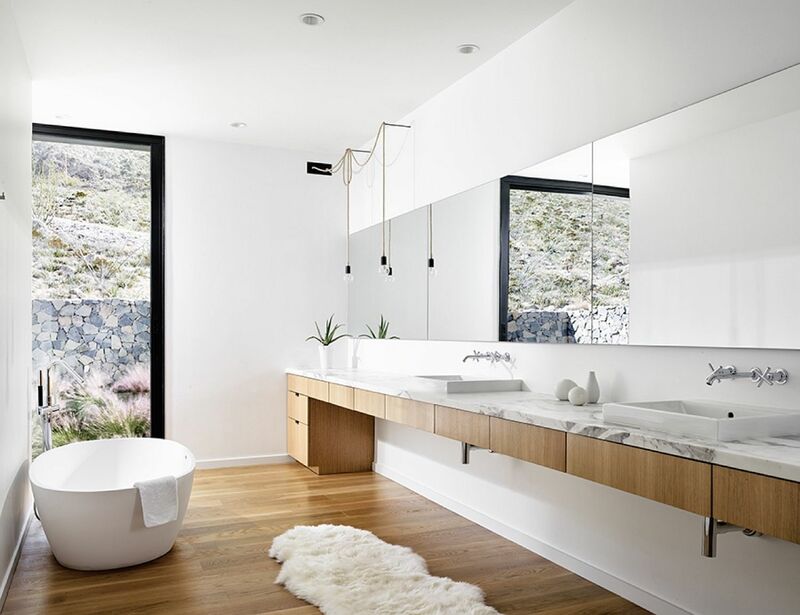 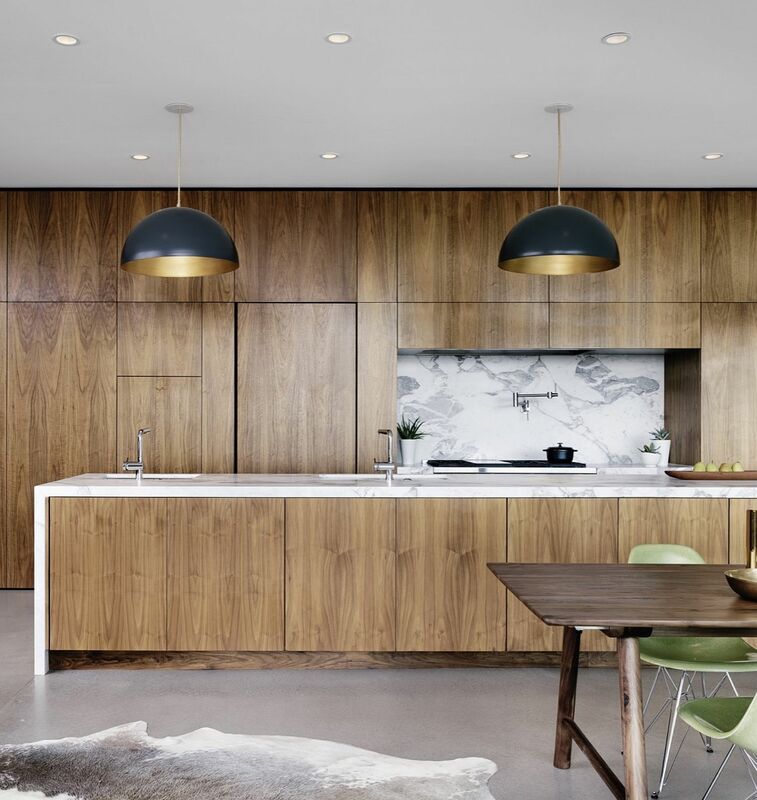 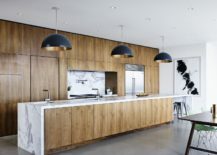 The gorgeous home designed by hazelbaker rush perfectly represents the blend of rocky mountain terrain on one side of the residence and the urban scenery on the other by combing the two contrasting worlds. 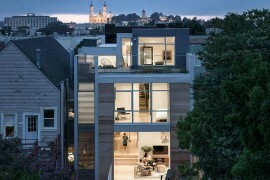 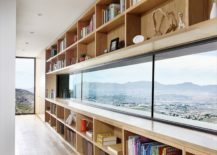 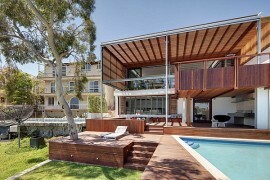 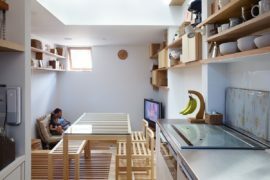 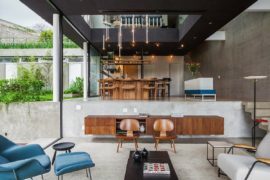 Spread across three different levels, it is the lowest floor that houses the utility spaces, the first floor that contains the living area, dining and kitchen and the top level which contains the bedrooms and bathrooms. 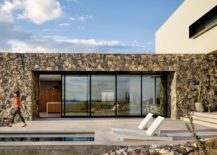 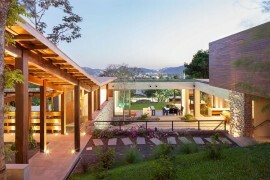 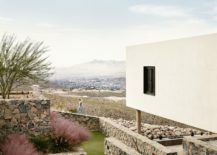 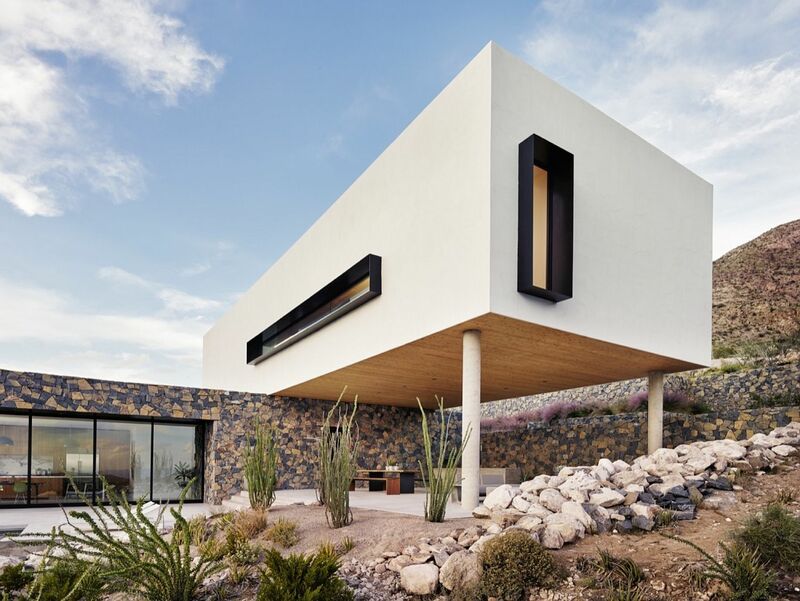 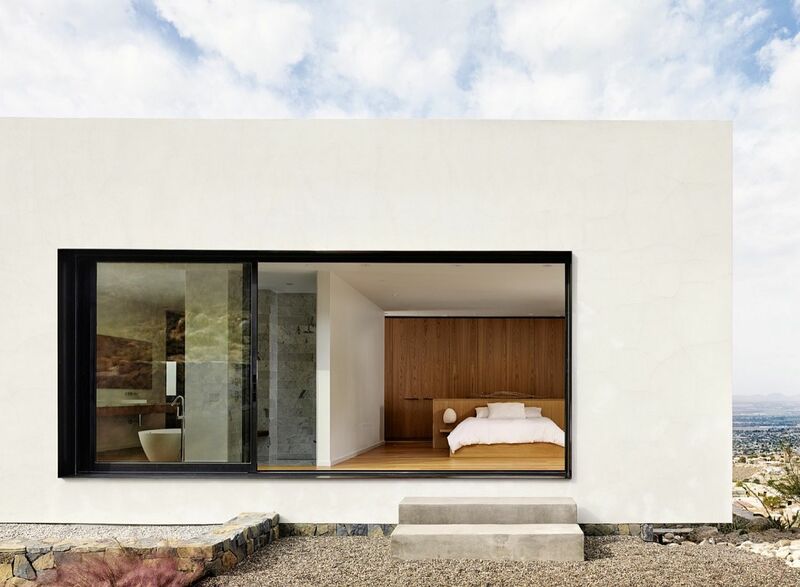 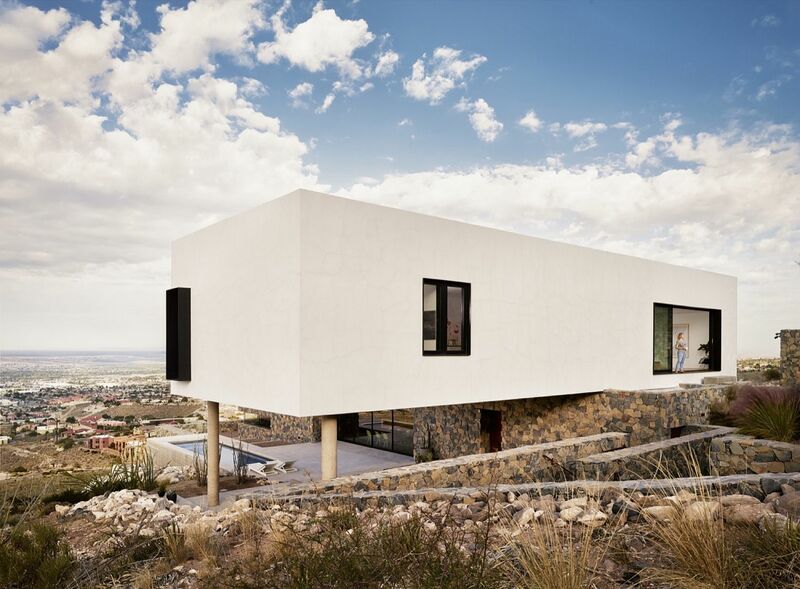 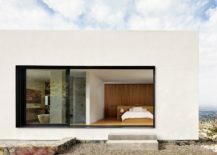 The two lower levels of the house are firmly anchored into the rough terrain while a refined, cantilevered structure clad in white lime stucco hovers above and holds the private spaces. 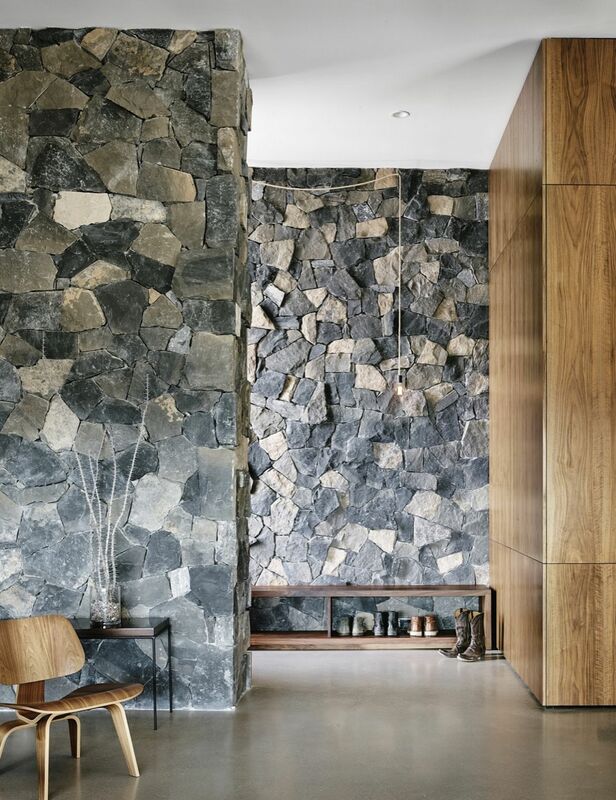 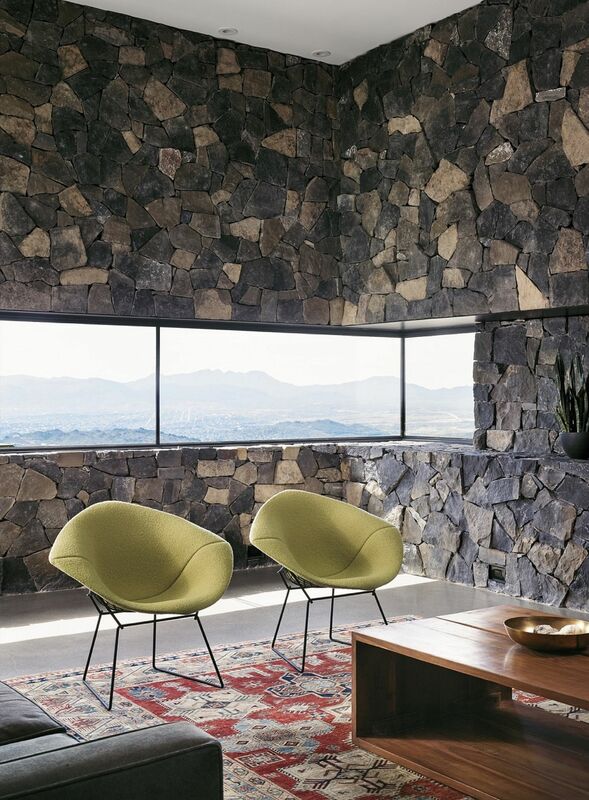 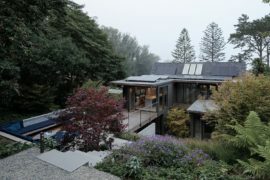 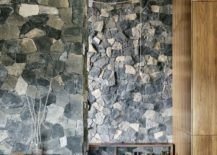 Natural stone walls, wooden finishes and leather accents usher in the necessary contrast inside the house even as expansive use of glass windows connects each room with the scenery outside. 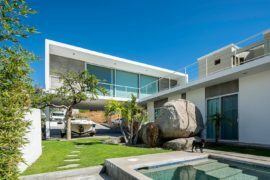 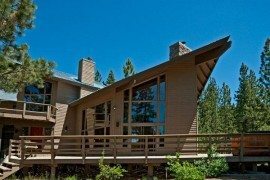 Beautiful angular quartz crystals on one side of the house and vast green stretches on the other add to its natural charm.